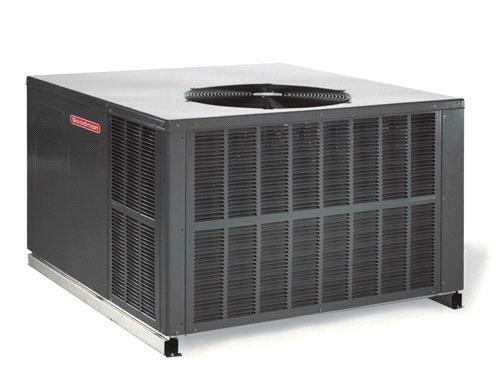 The Goodman GPH1536M41 is a complete packaged heat pump unit with heating and cooling capabilities. The air conditioning of this model uses a high-efficiency compressor and the chlorine-free R-410A refrigerant to effectively cool the home. It has a 3 ton and 35,400 BTU cooling capacity. The GPH15M line's heat pump system uses a 35,400 BTU heat pump compressor to warm the home. The GPH15M packaged heat pumps have variable electric heat capabilities. This particular model offers 5, 8, 10 and 15 kW electric heat options.